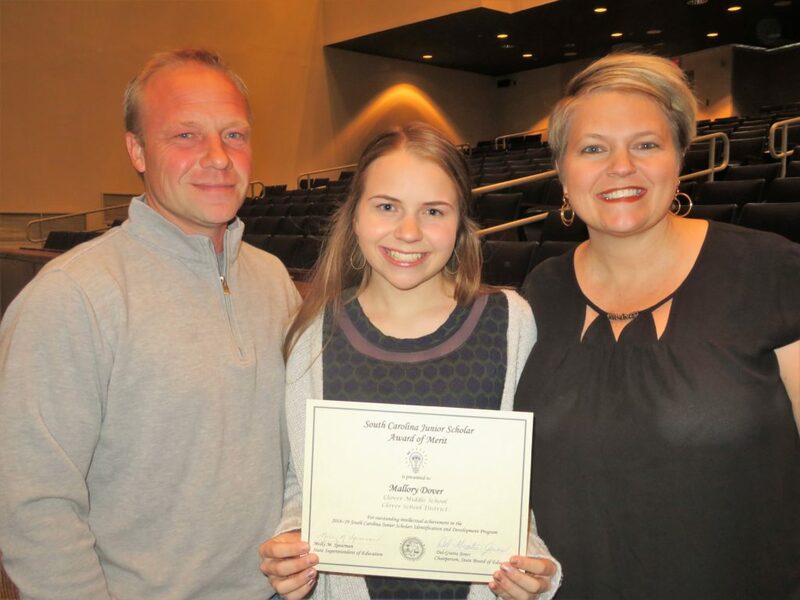 Last night Jeff & I met Lindee & Jackson at the auditorium, where Mallory and her fellow Clover School District 8th grade Junior Scholars were recognized. I got this picture of the three of them afterwards. So proud of our girl.